NN head coach named the best by the League. 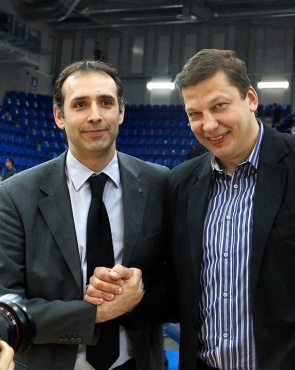 Lukic was one of the main reasons of Nizhny Novgorod's outstanding perfomances in their debut top-flight season. The young club made the headlines by entering the play-offs, where they managed to grab the 5th palce in final standings. The 39-year-old coach from Serbia has been with the team for 3 years, and at the end of this season NN's general manager Sergey Panov extended his deal by another two years. "It's a big suprise for me. I'm very happy, but i need to mention that it's not only my merit. This award has been won by the whole team - the players, the coaching staff and our management, which knows what it wants and is moving to this goal", - Lukic said.